If you are in the process of planning a home addition, you can either develop your own set of home floor plans or you can purchase online a set of generic stock home addition plans. Purchasing home floor plans online is a great way to get a jump start on your own custom home addition plans, however they typically require tweaking to meld the home addition design into your existing home. In some cases you can modify or adapt the plans yourself, but in many cases you may need to enlist the services of an architect. 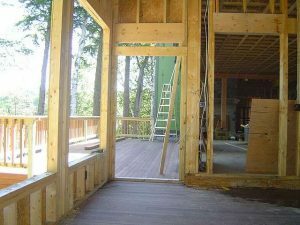 There are numerous online companies that sell home addition plans. Each offer many types of home floor plans and home addition plans. There are generic stock home addition plans for master bedrooms, sunrooms, second story shed dormers, kitchen additions, and great rooms, to name just a few. Each offers not only a set of blueprints to build the home addition, but also 2D and 3D drawings and pictures of the finished home addition from multiple viewpoints. If you are designing your own home floor plans you may want to review some of the online floor plans to get some ideas. When developing your own home floor plans first write down how you plan to use the room and what pieces of furniture you are planning to have in it. You may want to create some scaled paper-doll type cut-outs of the furniture to place in the home addition floor plans. This way you can get a better sense of how large to make the home addition. One key area to consider when developing home floor plans is traffic flow through the home addition. For example, if you are designing a kitchen addition it is best to design the locations of the stove, sink and refrigerator in a triangle layout. This type of layout allows you to stand in the middle of the triangle and be able to easily reach anyone of these key kitchen appliances. With these few simple tips, you should be able to quickly develop your own custom home floor plans for your home addition.